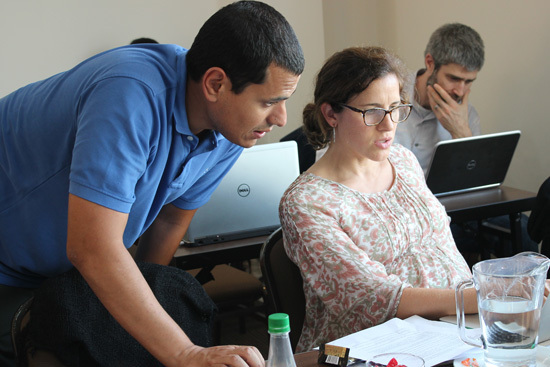 In January, CSF delivered a five-day course for USAID Peru in Lima on economic tools for conservation. The USAID Peru Mission has an environmental focus on sustainable forest landscapes and biodiversity in the Peruvian Amazon Basin, as well as on global climate change adaptation to address issues such as decreasing water runoff from the Andes. Our training was designed to provide senior conservation staff of USAID with an understanding of key economic concepts, economic analysis of environmental policies, methods for valuing biodiversity and other ecosystem services, strategies for designing effective policies and incentive systems, impact evaluation, and tools for financial and economic feasibility assessment. Instructors included CSF’s Kim Bonine and Aaron Bruner, as well as long-time CSF instructors David Johnson (via video) from the University of Wisconsin and Jorge Nogueira from the University of Brasilia. During the course we discussed a number of relevant examples from the Amazon region as well as other countries around the world, including PES and incentive programs in Peru, Ecuador, Colombia and Kenya, valuation of ecosystem services in Peru, Brazil and Tanzania, and comprehensive cost-benefit analysis of infrastructure development in Panama, Brazil, Peru and Uganda. We are pleased to have had the opportunity to increase USAID’s capacity to use economics in their work for the environment.